Caption: OK, a big part of what I love about my job is being able to do some really cool things at times. 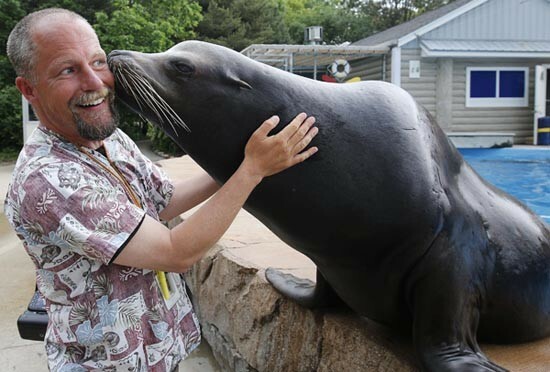 Getting a kiss from Slick the 30 year old California Sea Lion while doing a story on the retiring sea mammal at the Milwaukee County Zoo last week. By the way, I think I now want a pet Sea Lion.